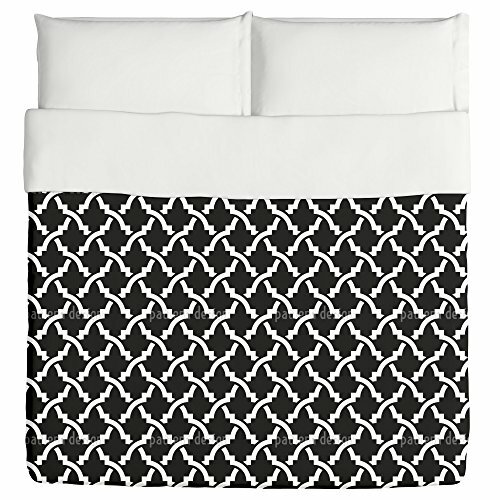 Keep your bedroom in style with uneekee's custom-printed duvet covers. King Size - 104" x 88", Queen Size - 88" x 88", Twin Size - 68" x 88"
Design By Ricardo Cherem, patterndesigns.com Inspired by ancient arabian ornaments. custom printed - uneekee prints on demand and creates a custom item just for you! please note that color variations may occur from your screen to our product. if you want to return an item for color issues, simply send it back to us and we'll refund your item purchase price. shipping and return shipping are not covered by uneekee, unless we've made an error. if you need to match a specific color, we can do that! simply email info@uneekee.com and we'll work with you and make an exact match!